The Elizabethan Chalice of 1569 Given to Lavendon Church by Sir Anthony Chester, bart. The Elizabethan Chalice of 1569 belonging to St Michael’s Church, Lavendon. This finely chased chalice, made in 1569 in London in the reign of Queen Elizabeth I, was given to Lavendon Church by Sir Anthony Chester, bart., of Chicheley, Buckinghamshire. The chalice has been inspected by antique silversmiths in more modern times; they have concluded that it is in a brittle and fragile condition and that work to remove minor surface bruising and re-gilding of the interior would be too risky to carry out. Because of its fragile condition and its historical value, the chalice is kept in secure storage at all times and only retrieved for display on rare and special occasions. 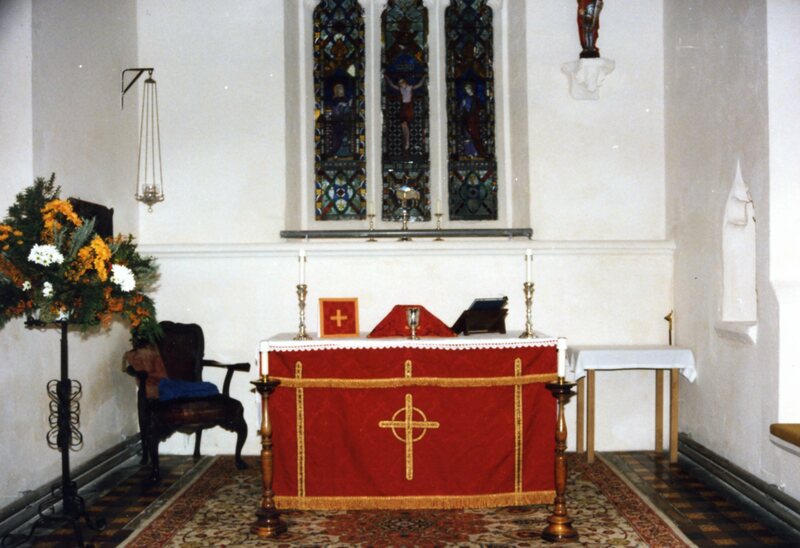 It is seen, below, in its rightful setting at the time of an exhibition for thanksgiving for repairs to St Michael’s Church that took place in September 1990. 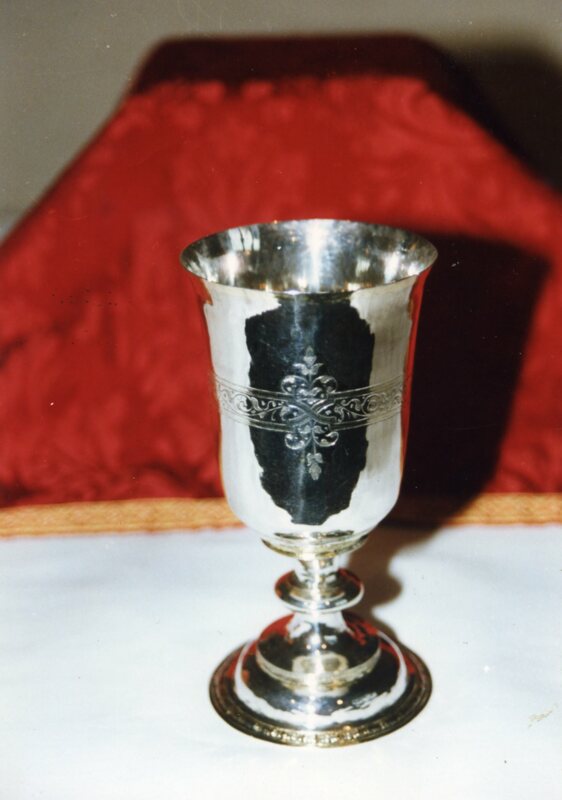 The Elizabethan Chalice of 1569 on display at St Michael’s Church Lavendon in 1990.